Seems a good offer. 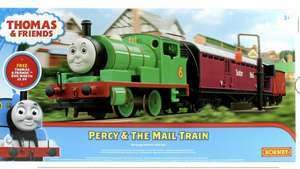 £59.50 for a Thomas set. Includes a FREE Thomas & Friends™ DVD worth £9.99. The DVD contains over 2 hours of exciting stories from 1984 to today! Deal posting newbie! This is Oli4ranz first deal post. Help out by leaving a posting tip or just to show your appreciation for their contribution.